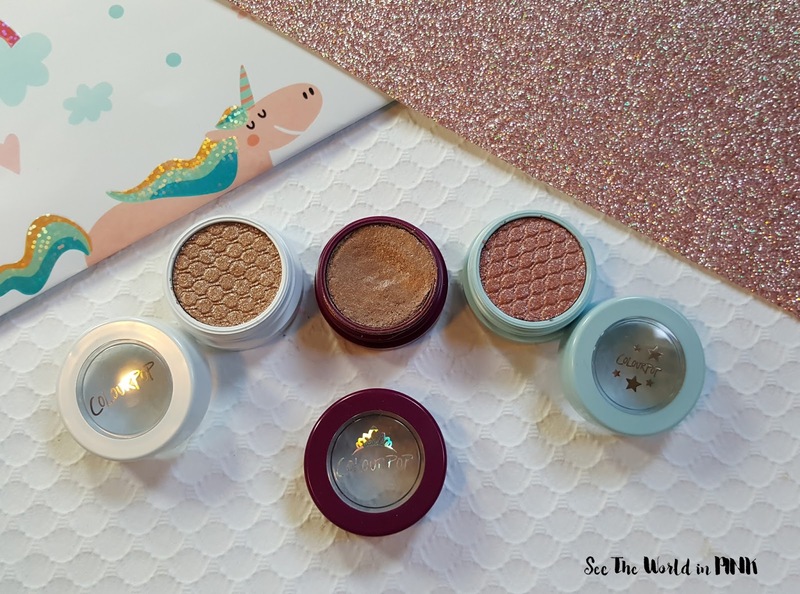 ColourPop Birthday Super Shock Shadows - Birthday Girl, Birthday Boy and Birthday Cake Swatches and Comparison! ColourPop recently turned 3 at the end of May and each year for their birthday they release a special limited edition freebie shadow! Now, why bother featuring limited edition shadows on here? 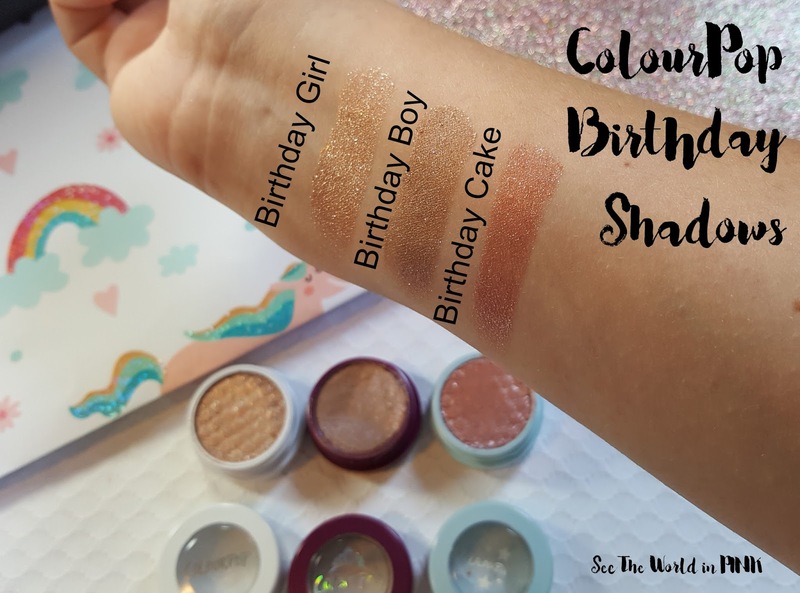 Because ColourPop is known for bringing back previously released shadows - Birthday Girl is currently for sale in the shop (and it was supposed to be limited edition for their 1st Birthday!) So, likely the other 2 shadows will be up for sale at some point too! 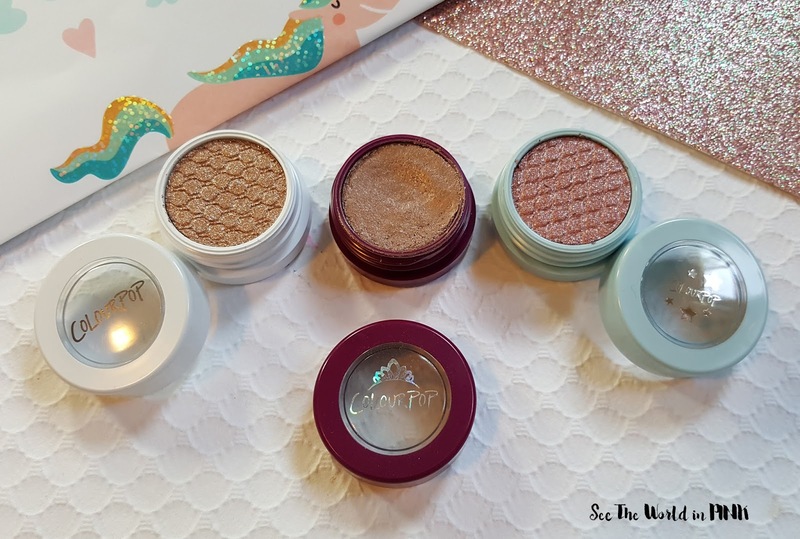 From left to right: ColourPop Birthday Girl (1st Birthday 2015), Birthday Boy (2nd Birthday 2016), and Birthday Cake (3rd Birthday 2017). All these shadows are in their Super Shock formula which are super creamy and they are all ultra-glittery! I love that all the birthday shadows are super glittery! I love them! Birthday Girl is a gorgeous gold! Birthday Boy is stunning - it has actually made my favorites last year. I'm really looking forward to digging in to Birthday Cake -i'm loving this rosy copper shade!! These are gorgeous shades! I love the look of Birthday Cake! Yes they are so pretty! I love Birthday Cake too!